The popularity of soccer among American youth is at an all-time high. 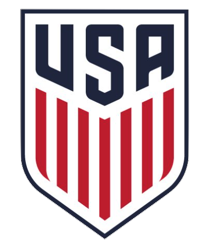 Nearly 14 million young athletes (13,832,0001) under the age of 18 in the United States are playing soccer from the recreational through the elite levels. The rapid growth of youth soccer participation in recent years, coupled with an increased need for qualified and certified coaches, has made ensuring the safety of youth soccer players more important than ever before. Moreover, new youth soccer research from the University of Connecticut and serious cases of heat illness in other sports over the past few years has prompted the U.S. Soccer Federation to issue an updated version of its “Youth Soccer Heat Stress Guidelines.” The aim is to help parents, young athletes and coaches understand one of the most common and most preventable sports injuries: heat-related illnesses, including dehydration, heat cramps, heat exhaustion and heat stroke. Heat-induced illness is one of the most preventable sports injuries. Parents, young athletes and coaches need to understand the factors that put children and adolescents at risk for heat- related illness and take steps to prevent it. Children face unique stresses when they exercise in the heat. Like adults, young players may have trouble adapting to the demands of soccer practice and game situations played in high temperatures. Problems can be made worse when the young player is dehydrated. 1) Children absorb more heat from a hot environment because they have a greater surface- area to body-mass ratio than adults. The smaller the child, the faster they absorb heat. 3) During prolonged exercise, children and adolescents frequently do not have the physiological drive to drink enough fluids to replenish sweat losses 3,4. 4) Youth athletes may be more easily distracted when they should be resting and rehydrating. 5) Some youth athletes may be under intense pressure to make a competitive squad and may not want to report feelings of heat distress or take the appropriate amount of time to rehydrate. 1) Limited stoppage time during matches. 2) Young soccer players are not encouraged to use the limited stoppage time they have for fluid consumption. 3) Games are held outdoors, often in high temperatures and humidity, on large fields that offer little or no shade. Heat radiated by the sun is a major component of heat stress. This is complicated by limited access to shaded areas for players to use between halves or between games. 4) Young players fail to drink enough fluids at tournaments and summer camps where numerous games and practices take place each day. Communication between playing fields and medical tents at tournaments is sometimes inadequate. Many teams fail to recognize the importance of using light-colored, loose-fitting uniforms5 orproducts made of modern moisture management fabrics. Referees could be unaware of the importance of fluid breaks or that they have the authority tobriefly suspend play for a fluid break. Mental alertness and skill performance declines with dehydration6 and could be a factor ininjuries occurring late in matches and training sessions. Acclimatization to the heat is an important factor in preventing heat illness. The rate of acclimation for children is slower than that of adults7. A child needs as many as 8 to 10 days (45-60 minutes/day) in the new climate to acclimate sufficiently. Such exposures can be taken at a rate of one per day or one every other day. A majority of the benefits of acclimatization occur in the first 4-6 days and should be considered an absolute minimum amount of time for children to get used to the heat before beginning intense practice and game situations. During the acclimation process, it’s important to practice the methods prescribed and to drink adequate amounts of fluid to build the body’s fluid volumes. Lack of acclimatization can be a problem for a team flying to a new, more environmentally stressful location. When a child becomes acclimated, their sweat rate and total sweat losses increase. When they exercise, they begin to sweat sooner and produce more sweat than before becoming acclimated. Evaporation of sweat is how the body loses heat and this change in sweating allows the child to lose more heat into the environment through evaporation. When a child becomes acclimated and their sweat rate increases, it’s important that the child drink sufficient fluids to replace the increased sweat losses and stay hydrated. Medical staff, parents, players and coaches must understand that thirst is not a good indicator of a child’s fluid needs,8 so children need to drink on a schedule (see FLUID GUIDELINES below). Children should choose clothing that is light-colored and lightweight that facilitates evaporation of sweat. Parents and coaches should encourage breaks in a shaded area whenever possible, especially during tournaments, multi-game, and multi-practice days. It’s important to be aware of high temperatures and humidity and, if possible, move practice and game times to cooler portions in the day, such as morning and dusk. Additionally, competitive rules need to be relaxed during hot weather playing conditions, such as allowing a 5-minute break in the middle of each half, allowing water bags to be carried by players during play, or shortening each half and adding that time to halftime for a longer break. Practices must be modified based on conditions. Use frequent rest breaks to lower core temperature and provide ample time to rehydrate. 1) Encourage each player to weigh before and after activity to determine how much fluid was lost during activity. 9 If a player is lighter after activity then encourage a little more fluid consumption during the next practice/game. If the player is heavier after activity then encourage a little less fluid during the next practice/game. Players should try to limit fluid losses to 1-2% of body weight or less. Before prolonged physical activity, the child should be well hydrated. − 9 ounces of fluid for a player weighing more than 90 lbs. To ensure that the child is not dehydrated before the start of the practice session or game, the child should drink 12-16 ounces of fluid approximately 30 minutes before getting to the field. Once the activity is over, players should drink water or a sports drink every 15-20 minutes for the first hour after activity. The rate of fluid ingestion is generally 1.5 pints of fluids for each pound of weight lost. Volume overload can make it difficult for some athletes to fully rehydrate between multiple sessions within a single day. The goal is to begin training each day at the same weight. * Recent research11 shows that adolescent males typically lose 1-1.5 liters per hour when performing intense soccer practices/games in the heat, while younger males and females will lose from 0.6 to 1 liter per hour. 3) Teach the youth soccer player to monitor their own hydration status with the following tip: If their urine (during flow, not once the urine is diluted in the bowl) is a pale yellow like lemonade then they are likely pretty well hydrated. If their urine is dark yellow like apple juice, then they are likely dehydrated. This is an easy and accurate way to assess hydration status and it gets the kids involved on a personal level. 4) Kids need to drink enough of the right fluids to minimize fluid losses during activity. • Flavored beverages that contain sodium (sports drinks) are preferable because the child may drink more. − Research shows that lightly sweetened and flavored non-carbonated beverages, like sports drinks, are preferred during exercise and are consumed in greater volumes than water,12 diluted fruit juice13 or carbonated beverages14. − Research shows that fluids containing sodium chloride (sports drinks) increase voluntary drinking by 90%, compared to drinking plain water3. 6) Immediately before and during activity, children should avoid fruit juices, carbonated beverages, caffeinated beverages and energy drinks. Fruit juices have a high sugar content that can slow fluid absorption, cause an upset stomach,19 and may also lack sodium. Carbonated beverages, such as soft drinks, can reduce voluntary drinking due to stomach fullness, throat burn when gulping20 and lack sodium. Energy drinks should be avoided because many contain caffeine and have high carbohydrate concentrations which slows the emptying of fluids from the stomach21. 7) Be sure that each child uses their own beverage container that they can keep cool during the practice. An individual container allows monitoring fluid consumption more accurately, can be filled with beverage of personal preference, will help avoid the spread of germs and viruses, and the cool fluid will be replenished at a better rate than a container that sits out in the sun. Additionally, dehydration also hinders exercise performance. The dehydrated player will have to work harder to maintain the same level of intensity than their hydrated teammate. Unchecked dehydration increases the the risk of heat illness. Heat illnesses are three separate degrees of severity: heat cramps, heat exhaustion, and heat stroke; the most serious and deadly heat illness. The symptoms outlined below are not always additive and do not necessarily occur in an orderly, predictable progression. A young athlete could experience heat stroke in absence of other indicators. Treating the symptoms of dehydration is crucial in preventing more serious conditions such as heat exhaustion. Consider additional sodium in palatable food source, like pretzels, etc. Heat stroke is a medical emergency. Always transport a suspected exertional heat stroke to the hospital! It is probably safe to say that you are not qualified to treat exertional heat stroke. 1 Sporting Goods Manufacturers Association. National Soccer Participation Survey, 2003. 2 Bar-Or, O. Temperature regulation during exercise in children and adolescents. In: Gisolfi C, Lamb DR, eds. 3 Wilk B. and O. Bar-Or. J Appl Physiol, 80: 1112-1117, 1996. 4 Rivera-Brown, A. et al. J Appl Phys 86: 78-84, 1999. 5 Murray R. Dehydration, hyperthermia, and athletes: science and practice. J Athl Train 31: 248-252, 1996. 6 Gopinathem, P.M. et al. Arch Environ Health 43:15-17, 1998. NY: Columbia University; 1978 Dissertation. status. Journal of Athletic Training. 40(2S):S20, 2005. 9 American Academy of Pediatrics. Pediatrics 106:158-159, 2000. 10 American Academy of Pediatrics. Pediatrics 106:158-159, 2000. 13 Passe, D. et al. Med Sci Sports Exerc 31:S322, 1999. 14 Passe, D. et al. Int J Sports Nutr 7:286-297, 1997. 15 Nose, H. et al. J Appl Physiol 65:325-332, 1988. 16 Maughan, R.J. and Leiper J.B. Eur J Appl Physiol 71:311-319, 1995. 17 Bergeron, M.F. Int J Sports Nutr 6:62-68, 1996. 18 Vrijens, D.M.J. and N.J. Rehrer. J Appl Physiol 86:1847-1851, 1999. 19 Davis, J.M. et al. Eur J Appl Physiol 57:563-569, 1988. 20 Ploutz-Snyder, L. et al. Eur J Appl Physiol 79:212-220, 1999. 22 Epstein, Y. Am J Med Sports 2:143-152, 2000. 23 Watts, S. Am J Med Sports 3:286-293, 2001. L. M., Huggins R. A., Armstrong L. E., Maresh C. M. Examining the validity of devices that assess body temperature during outdoor exercise in the heat. Journal of Athletic Training. 41(2S), 2006.